We’re back again with our monthly free printables and blog hop. This time it’s all about back to school. Today was our first day back to school, and even though I’ll never be ready to say goodbye to Summer, I am ready to say hello to a good routine and family organization. You know the saying: “If you fail to plan, you plan to fail”? Isn’t that so true?! So what better way to start the year off right with your weekly plan written out for the family to see. Here’s a print to write out their schedule, homework, school lunch ideas, you name it! 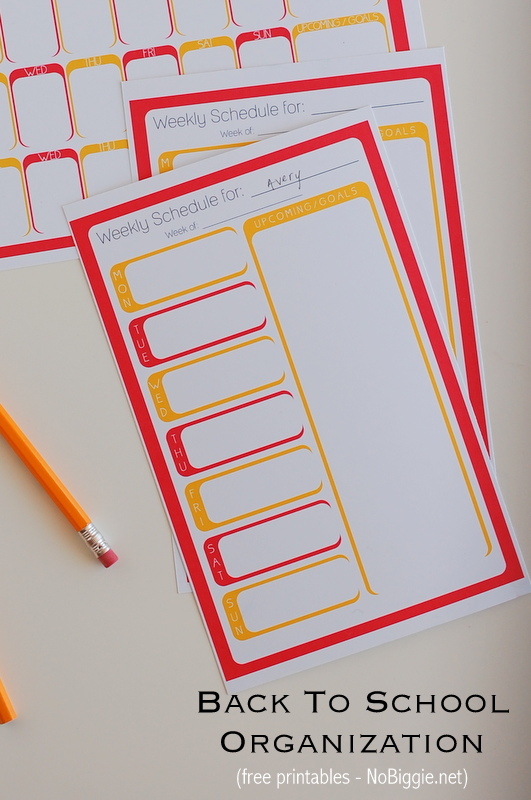 So we came up with a couple of weekly planners that will help get your family organized every week. A smaller one for each member of the family, and a full sheet for the entire family (up to 5 family members). Let’s get organized and plan for a successful school year! 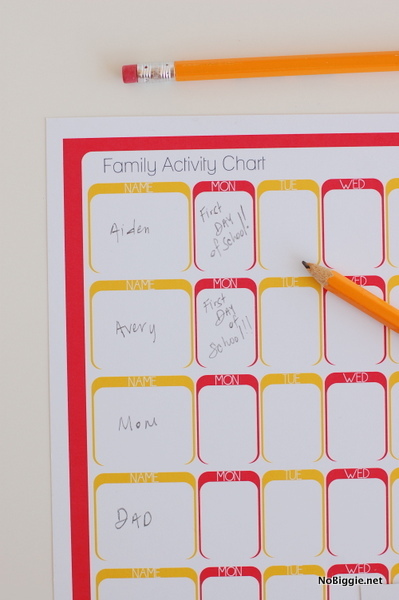 …and here’s a look at the second sheet that’s great for each family member. There’s two of these on each sheet. 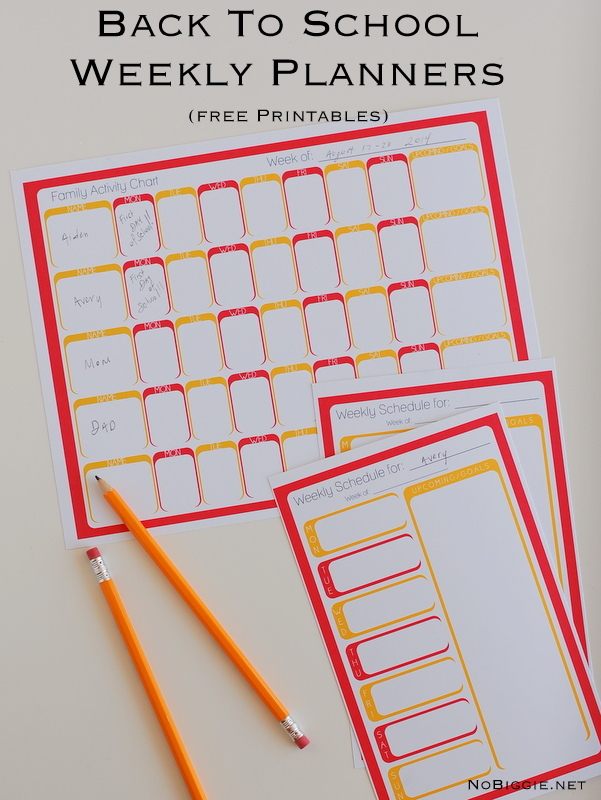 Click here to download this free printable to get organized this school year. *All printables offered on NoBiggie are for personal use only and are for NoBiggie Fans and followers. 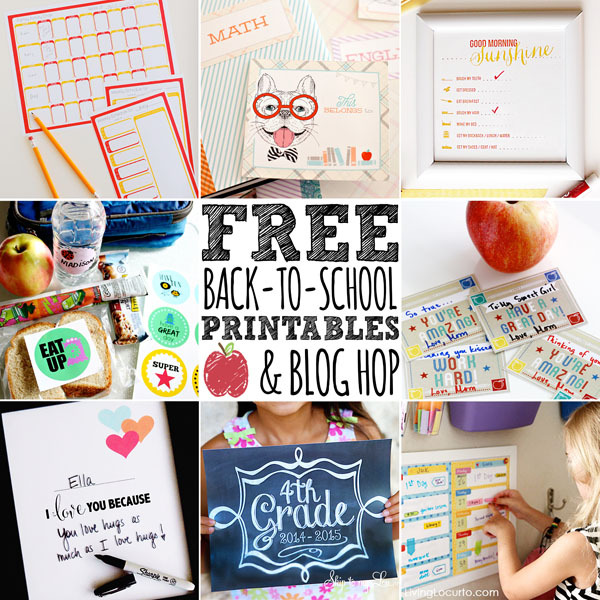 Now for the blog hop, be sure to visit all these fun sites to download your free printables. When do your kids start school? Are you ready for a schedule?